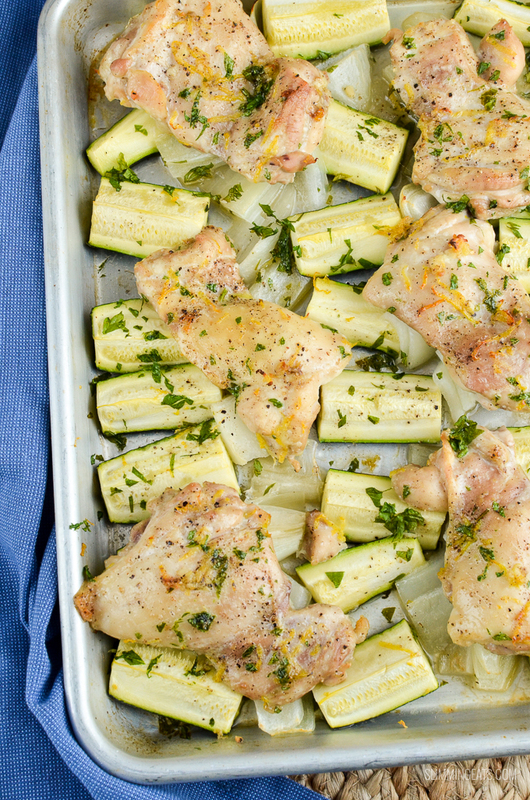 Garlic and Lemon Chicken – a perfect tray bake for when you want a no fuss meal. If you haven’t yet tried a tray bake, you really need to add it to your list of recipes to try. 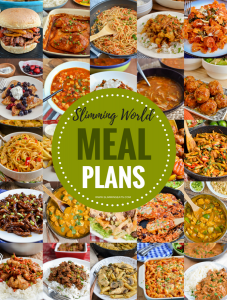 Super easy uncomplicated meals, where you can just add all the ingredients to one tray, pop in the oven and a little while later your meal is ready to plate up. Using one tray means there is less to wash up afterwards too. Some tray bakes you can add the potatoes to the tray too, but for this dish I wanted crispy golden potatoes, so popped some potatoes in the Tefal Actifry , while the tray bake was cooking in the oven. 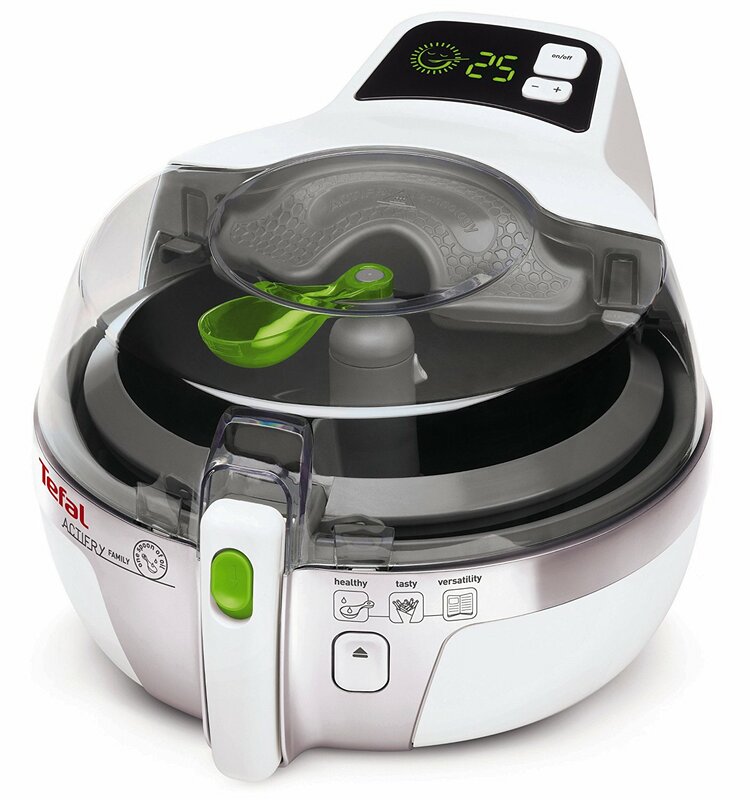 I love my Tefal Actifry, we have the family size and it’s perfect for cooking syn free chips, sausages, chicken, roasted potatoes without any effort, as you don’t need to keep turning them to achieve even browning. The actifry does all the work for you. So with one tray in the oven and the actifry doing all the work on the potatoes, there really wasn’t anything else for me to do, which mean I had a few minutes to put my feet up and relax. Not very often that happens let me tell. Hubby even made me a nice cuppa, so it was perfect!! For this tray bake, I really wanted to prevent the chicken from drying out on the tray, there is nothing worse than oven cooked chicken and it is so easy to over cook. I figured some vegetables underneath would keep the chicken nice and moist along with the other ingredients for flavour. You could really use any vegetables that will cook around the same time as the chicken. I use some zucchini and onion and it really took on all those flavours so well. It’s a perfect summer time dish, but could equally be enjoyed any time of year. If you are looking for some other amazing tray bakes to try. 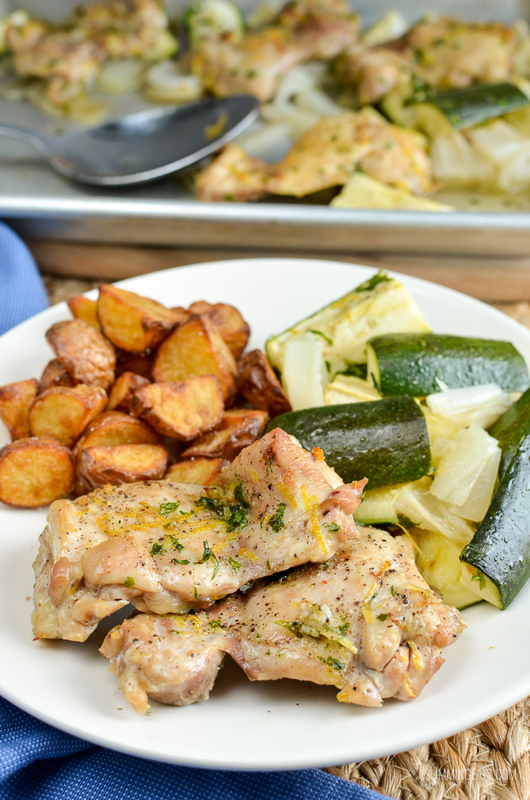 Check out this Garlic Chicken and French Bean Tray Bake – another dish with some amazing flavours. For the chicken I use a little bit of ghee. You can use spray oil if you want to keep it syn free, but I love the flavour from ghee. Mix with the garlic, lemon zest it coats the chicken and this amazing juices then get absorbed in the tender veg underneath. I just don’t think you get the same result with spray oil and when you divide this Garlic and Lemon Chicken into portions, the syns are not that high. I love to use my syns on the good stuff. 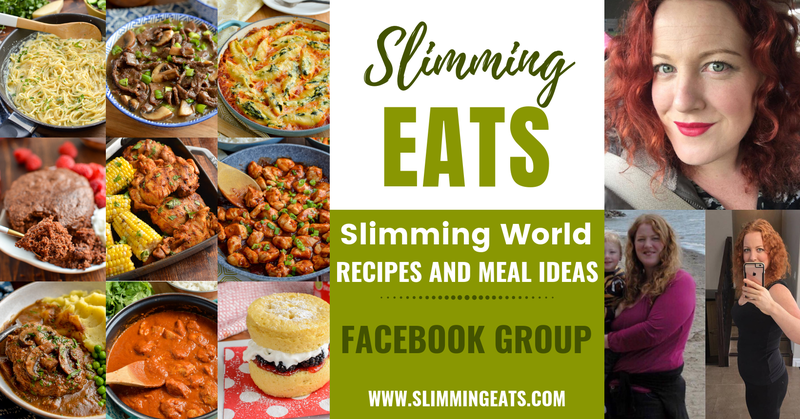 Many are scared off using fats or cooking oils when on Slimming World, but they are not off bounds and they are not unhealthy. Your syns are there to be used on things that are not syn free, and this is exactly one of those things. Don’t fancy potatoes? Check out all these amazing side dishes for inspiration. 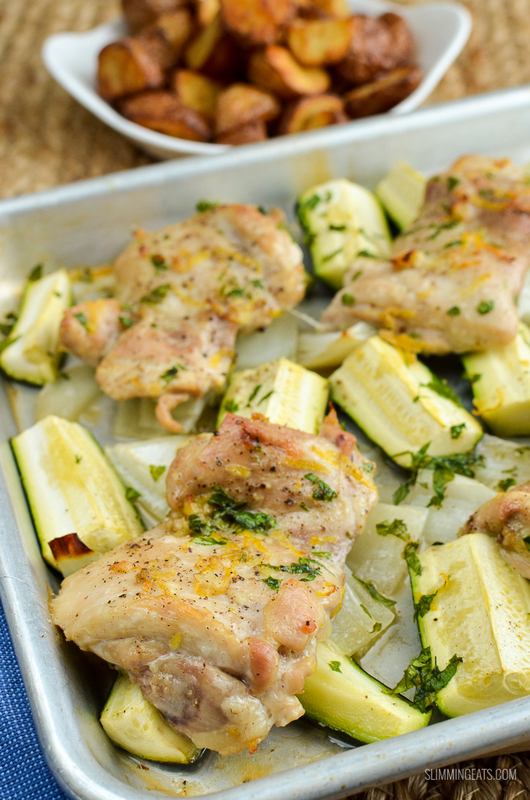 So many to choose from and if you are on a SP day, this Garlic and Lemon Chicken tray bake would be perfect with this Roasted Cauliflower Rice or one of this SP friendly sides. 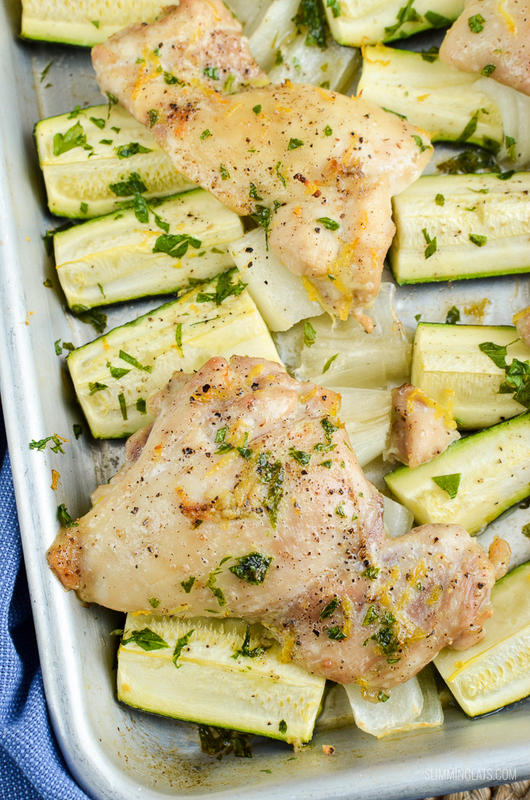 Scatter zucchini and onion across a large baking tray. Place the ghee, garlic, lemon juice and zest in a bowl and mix together. 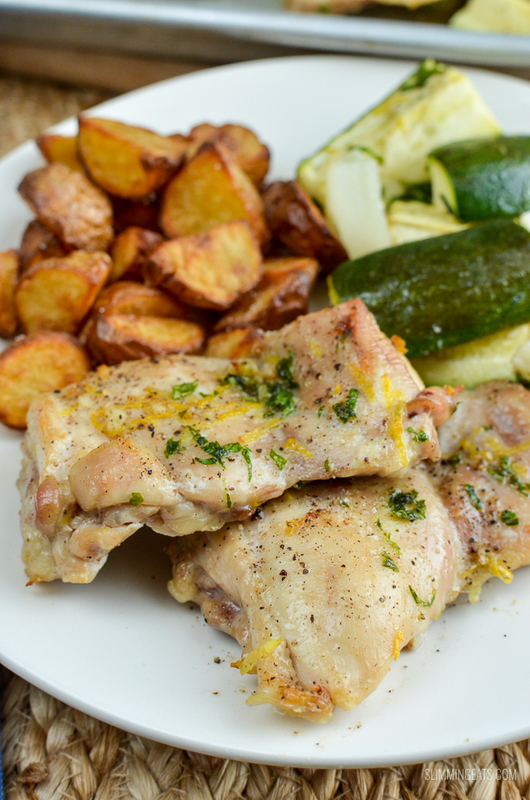 Place chicken thighs over the vegetables spaced evenly apart. Season over the top with salt and black pepper. Also double check syn values of sinned ingredients as different brands can vary.